Do you own Haier HUM030PA Upright Freezer? 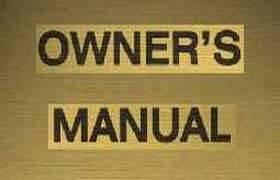 With the help of this Owner Manual you can check out all its functionalities. A must have for anyone who owns Haier HUM030PA Upright Freezer. It is similar to the original instruction manual which comes along with the purchase. The manual is written in PDF format which is available for instant download. The whole manual is printable or you can print any section of it if you want.